We hold expertise in designing and manufacturing a heavy duty range of exhaust fans that find extensive application in foundries, mills and chemical plants for material handling purposes. These highly efficient exhaust fans are suitable for transferring material such as paper, sawdust sand, shavings and many other products. We offer a wide range of Air Blower which comprise of housing, impeller and drive arrangements. These are specially designed for an efficient functioning and are available in the market in a variety of sizes. Our range of Air Blower is appreciated by our customers all over the country for its steady and oil-free air flow stream. - Air blower is used to supply the air to the aeration tank’s diffuser system. From air blower a pipe will be connected to the diffuser system which is mounted inside the aeration tank. - The supply of air is to maintain the Dissolved oxygen level at 2 mg/l as told earlier. 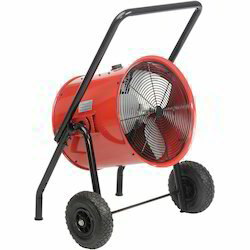 The Airvent 2400-EX is the large of all our Blowers. These portable explosion proof blowers have a durable and frim structure with good insulation, high pressure and very large air volume. They can get rid of odour and waste gas efficiency. 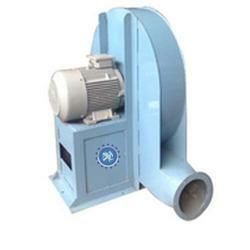 Blower are widely used for moving of air outside from various units. They have different applications like industrial, and chemical producing sectors.